The EU FP7 Sustainable Nanotechnologies (SUN) Project is coming to its end in March 2017. Jointly organized by the Society for Risk Analysis (SRA) and the SUN Project, the SRA Policy Forum will address current efforts put towards refining the risk governance of emerging technologies through the integration of traditional risk analytic tools alongside considerations of social and economic concerns. Challenges of governing SynBio and Biotech, and Methods and tools for risk governance. The New Tools and Approaches for Nanomaterial Safety Assessment (NMSA) conference aims at presenting the main results achieved in the course of the organizing projects fostering a discussion about their impact in the nanosafety field and possibilities for future research programmes. 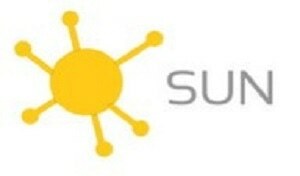 During the SUN-caLIBRAte Stakeholder workshop the final version of the SUN user-friendly, software-based Decision Support System (SUNDS) for managing the environmental, economic and social impacts of nanotechnologies will be presented and discussed with its end users: industries, regulators and insurance sector representatives. The results from the discussion will be used as a foundation of the development of the caLIBRAte’s Risk Governance framework for assessment and management of human and environmental risks of MN and MN-enabled products.